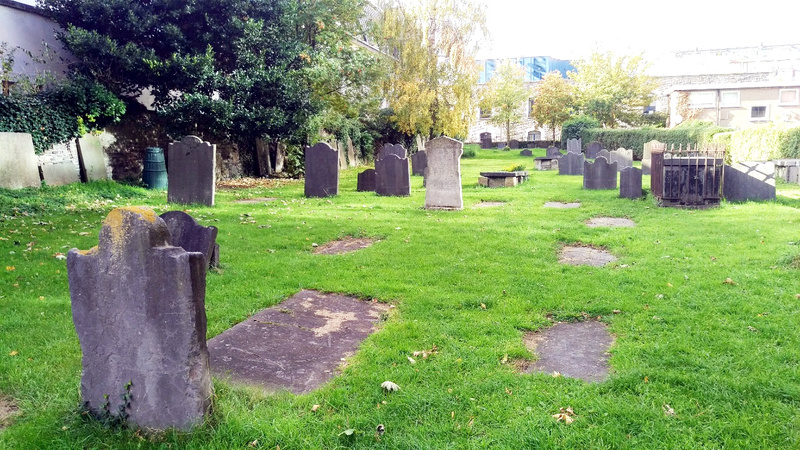 Dublin is a city rich in history, mystery and replete with a host of spooky stories. The city dates from the 9th century, when the Viking settlement at Woodquay was founded. Throughout its long history, Dublin has been a turbulent place. Witchcraft, murder, revolution, secret societies, even whispering mummies, this city has seen it all. At this time of year, in the country that gave the world Samhain (or Halloween), there’s a lot of spooky to go around. Here are five of my favourites. 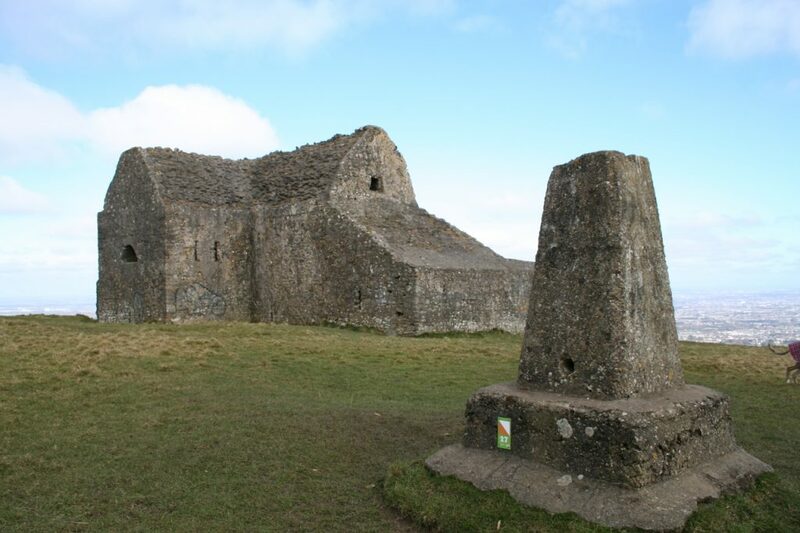 Founded in 1737, the Hell Fire Club quickly became notorious for its evil antics. The former meeting ground is said to be haunted by some of these dark deeds. 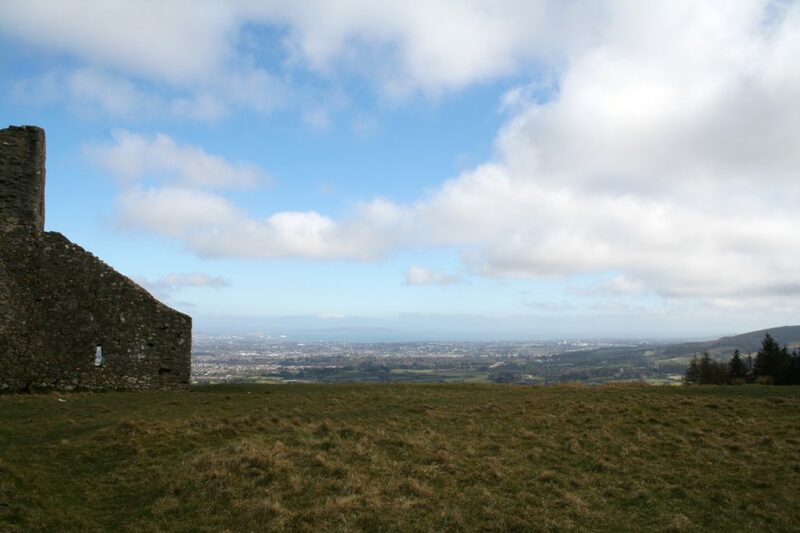 The lone building known today as the Hellfire Club, perched on top of Mont Pelier hill, was built as a Hunting Lodge by one William Connolly, the Speaker of the Irish House of Commons in 1725. He was one of the richest men in Ireland. When the lodge was built, however, the builders used stones from the stone cairn, which would have been known locally as a fairy fort. Disturbing one is considered very unfortunate and bad luck always follows their destruction. The slate roof blew off the building in a storm and a massive arched roof of stones was built to replace it, the flat stones from the cairn incorporated into this, further compounding the sin. Connolly didn’t get much use from the lodge. He died in 1729. The lodge was let to the Hell Fire Club, headed by Richard Parsons, the Earl of Rosse, and became the haunt for a number of Dublin rakes, notorious for drunkenness, debauchery, orgies and occult activities. Jonathan Swift called them “a brace of Monsters, Blasphemers and Bacchanalians”. Parsons was known as The King of Hell, and presided over the meetings. Perhaps it attracted some occult attention of its own. Stories began to grow about the club. Like the story of Loftus Hall, the devil is said to have arrived one night to play cards with the members, beating all there until someone discovered his cloven hooves, whereupon he vanished. A large black cat was also associated with the area, an evil creature which appeared to be at the centre of the occult activities. Stories vary as to whether this cat was part of a ritual gone wrong or a demon in feline form, but the cat has been seen there and in nearby Kilakee Stewards house. A young man who went to investigate the revels was found the following morning wandering the hillside in shock, unable to speak or hear for the rest of his life. According to legend, the building burnt down when an unfortunately footman spilled brandy on “Burn-Chapel” Whaley’s coat, who retaliated by dousing the man in brandy and setting him alight. The resulting fire killed many members of the club and left the lodge a ruin. That didn’t stop the members of the Hellfire Club, who relocated to Kilakee Stewards House, where they reportedly kidnapped, murdered and ate a local farmer’s daughter. A number of apparitions still linger around the Stewards House, the spectoral black cat, and a pair of nuns who were said to have taken part in black masses at the lodge. The sound of bells, and poltergeist activity has also been reported, and a small, misshapen figure has been seen sometimes with the cat. A skeleton was found in 1971 by workmen, described as being that of a child or a dwarf murdered by the Hellfire Club. During recent archaeological excavations of the remains of the cairn, items such as worked flint and part of a polished stone axe head were discovered, suggesting a Neolithic construction date. The big discovery was megalithic art carved on a stone which had apparently been in plain sight all along. It was only thanks to the low autumn sun casting shadows that one of the archaeologist recognised the markings, which date the tomb at 5,000 years old, as old as it’s more famous cousin Newgrange in Co. Meath. The stone is now in the National Museum of Ireland for further study. The notorious Darkey Kelly was burnt as a witch in 1746 after she accused the Sherriff of Dublin, Simon Luttrell, of fathering her child. 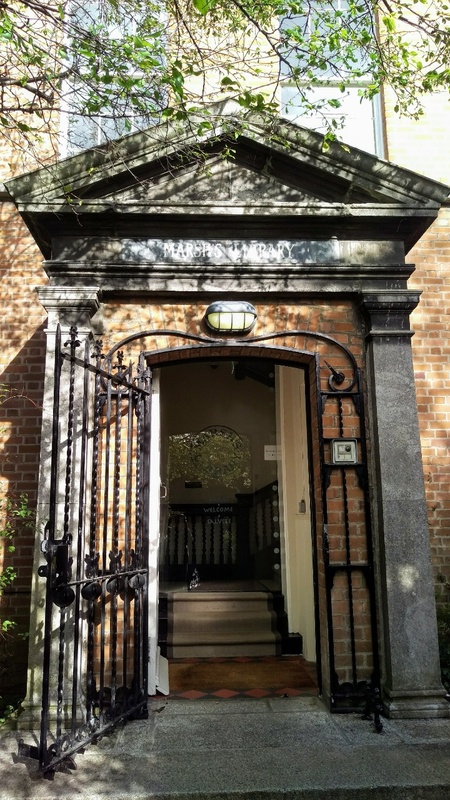 Dorcas Kelly was keeper of the Maiden Tower brothel in Copper Alley, off Fishamble Street and that she tried to blackmail Luttrell by threatening to reveal not just his illegitimate child, but also his membership of the Hellfire Club. The story says he took the child from her, killed it in a Satanic ritual and accused her of witchcraft. However, new evidence found in the newspapers of the time in the National Archives, has suggested that she was accused of murdering a shoemaker John Dowling and on investigation, the bodies of five other men were found in the vaults under the brothel. Following her trial and execution the prostitutes rioted for days in Copper Alley. 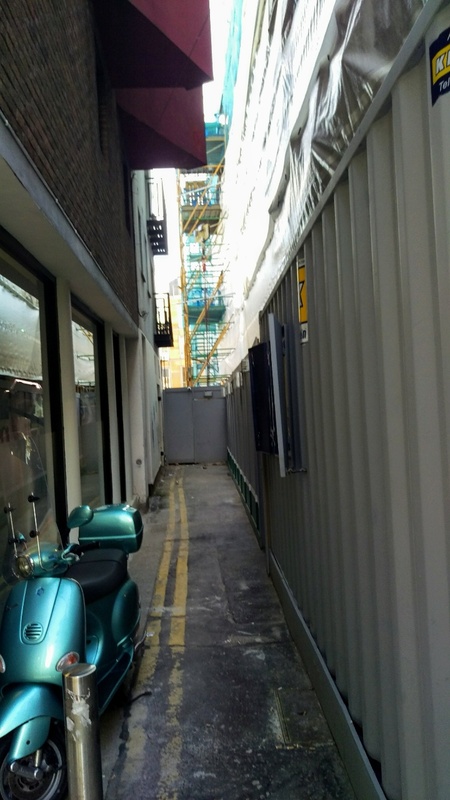 Not much of Copper Alley left – mostly a building site now. 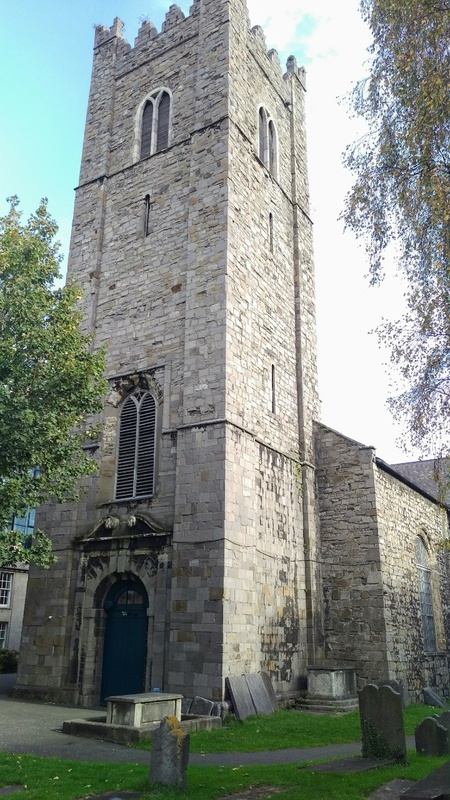 The Green Lady, a famous Dublin ghost frequently seen near St Audeons Church and in the streets near Christchurch Cathedral (streets once known as Hell), is said to be Darkey Kelly. On the site of a Viking chapel, dating from 1095, the current church dates from 1686. Handel is reputed to have composed The Messiah on the organ here. But the church is best known for the vaults beneath it. The vaults are famous for their mummies, the limestone in the building drying the air and helping to preserve the bodies. Among those preserved are the 400 year old body of a nun, a man thought to have been a crusader and the Sheares brothers who took part in the rebellion of 1798. The warm, dry air which preserves their bodies makes the reports of icy fingers touching the backs of visitors’ necks even stranger. Others say they have heard disembodied voices whispering from the shadows or feel a cold, clammy presence as they look upon the dead. The ghost of Narcissus Marsh, Archbishop of Dublin, is said to haunt the library he founded, next to St. Patrick’s Cathedral. By night, he wanders the shelves, browsing through the books, searching for something. Marsh founded the library in 1707 as the first public library in Dublin and it is still in use today, unchanged for three centuries, many of the books on the same beautiful dark oak shelves allocated to them by March and Elias Bouhéreau, the first librarian. The popular story of the ghost concerns Marsh’s niece Grace, who acted as his housekeeper and who, at 19, eloped with Charles Proby, the vicar of Castleknock. It is said that Grace left a note for her uncle in one of the books before they eloped, but he did not find it in time and is still looking for it (Although they must have made up at some point as Grace returned to nurse her uncle in his old age) . The ghost is said to haunt the inner gallery, which was his private collection, moving in and out of the shelves, taking down books and sometimes throwing them on the desks in anger or frustration, although he always leaves the library in perfect order when he’s done. On the 8th February, 1861, the worst storm ever recorded in the Irish Sea sank 135 vessels, 13 in the area around Dun Laoghaire Harbour. The crew of the coastguard ship, the Ajax, were among those searching the wreckage, under Captain John McNeill Boyd, trying to rescue the men of the stricken ship the Nepture, which had hit the rocks off the East Pier. Heavily dressed for cold weather, the men found ropes, lashed themselves together and hurried out onto the rocks off the East Pier when a large wave, said to be as high as a mountain, crashed over the, sweeping them all into the sea. Boyd and five of his men were lost. Their bodies were not found for several days and Boyd himself was not found for several weeks. In the meantime the lifeboat from the Ajax continued to patrol, searching for them, with Boyd’s faithful black dog in the prow of the boat. 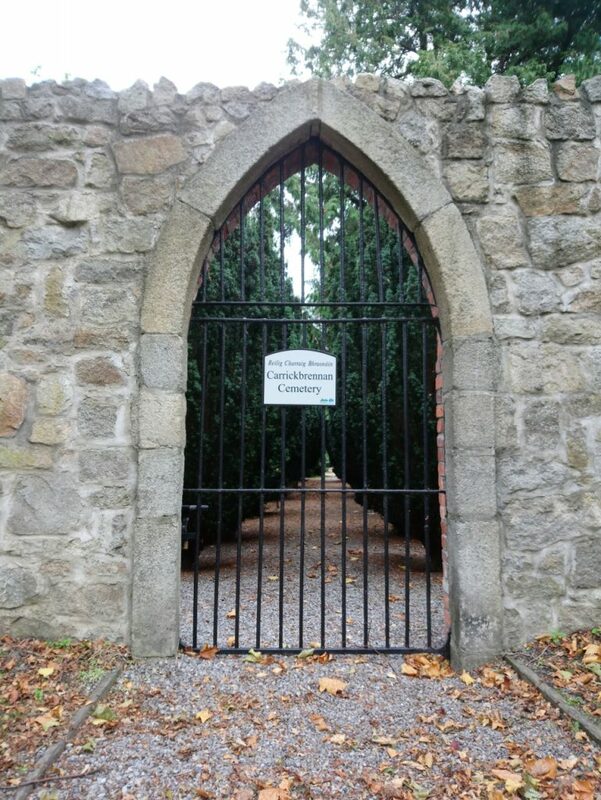 The crew were buried in the graveyard at Carrickbrennan in Monkstown, near Dun Laoghaire. Boyd himself was buried in the grounds of St. Patrick’s Cathedral, with a memorial to him erected inside the Cathedral itself. It was reported to be one of the biggest funerals ever seen in Dublin and the Captain’s dog walked behind the hearse. It guarded his body while it lay in state in the Cathedral and lay on top of the grave, refusing to move in spite of attempts to entice it away or feed it, until it died. 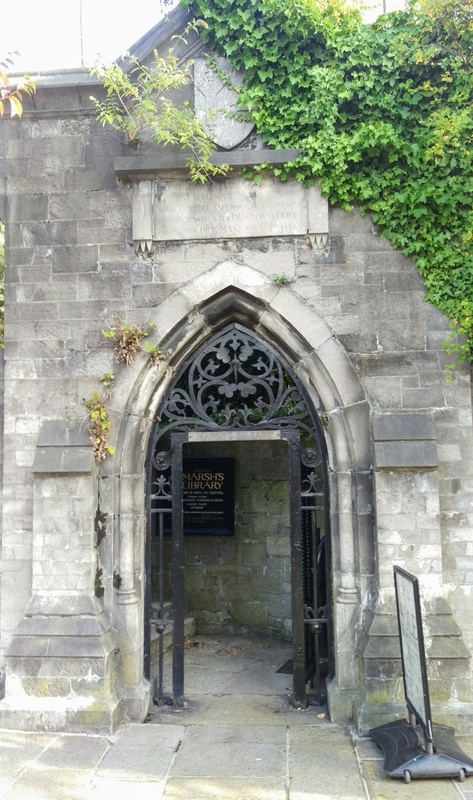 The ghostly form of a large black dog is still frequently reported at Boyd’s grave, at the foot of the memorial in the Cathedral and, late at night, running across the road to the now closed Carrickbrennan graveyard in Monkstown where the rest of the crew were buried. Perhaps Boyd’s dog watches over the Ajax crew still. There are so many more stories of Dublin to be explored and experienced. We haven’t touched on the Blood Fields, Billy in the Bowl, or the phantom coach drawn by black horses thundering through cobbled streets. Just walking around the city can give the impression of stepping back in time. No wonder it has inspired so many tales of the fantastic. Ruth Frances Long writes dark young adult fantasy, often about scary fairies, such as The Treachery of Beautiful Things, and the Dubh Linn trilogy: A Crack in Everything, A Hollow in the Hills and A Darkness at the End. (O’Brien Press, 2016). As R. F. Long, she also writes fantasy and paranormal romance. As Jessica Thorne she writes commercial fantasy/Space Opera. The first book in the series is The Queen’s Wing (Bookouture, 2018), with a sequel to follow in early 2019. 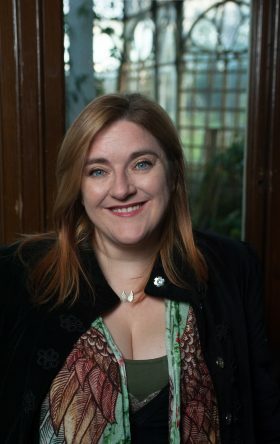 In 2015 she won the European Science Fiction Society Spirit of Dedication Award for Best Author of Children’s Science Fiction and Fantasy.